We are committed to helping each person fully know the love of God through His Word and become a follower of Jesus Christ, and experience Him working through them to accomplish His will. This is life...as God intended. Where the lost, weary and broken can find true joy and peace. We started on different roads, but were brought to a common avenue towards life through Jesus, and through this church. 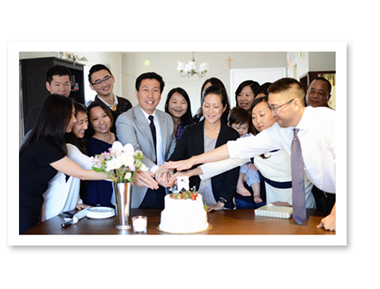 It began with a calling upon Pastor Hoonie’s heart to plant a church in the midst of trying times. Surely there were easier roads to take, but God’s calling burned in his heart and there was a cry for discipleship that could not be ignored. So when news came that Pastor Hoonie would plant a church...we each took time to pray and seek where we would grow the most. At the end of those prayers, one by one, each of us took a step of faith to join. Sharing our lives in fellowship and the Word was important to us, and it would be strengthened if we lived closer to one another. So we began to pray for the means to allow Pastor Hoonie and his family to relocate to the Peninsula. We asked God to help us recognize the place that He had prepared for our church. And He did in full measure. Pastor Hoonie and his family moved into Morgan House in 2013, and a year later we held our church dedication service as Avenue Baptist Church. God’s Word was clear-- to make disciples. We knew we wanted to reach college students and young people who were seeking the meaning of life, and sensed that God was leading us to worship outside of Morgan House. Walking by faith, in October 2015 we relocated our worship service to the Palo Alto/Stanford area. We press on and trust that God will continue to go before us, and write the story of our church. Avenue Baptist Church is committed to loving the Lord our God with all our heart, with all our soul and with all our mind. We believe that in order to love and honor God, we need to study His words diligently so that we can understand His heart for us. When God looks at us He looks into our hearts and cares about each and every individual soul. He never sees us as part of the crowd but as one soul. In Luke 15, we are reminded about God’s passion for the one lost soul through the stories about a good shepherd and a prodigal son. While leaving the rest of his flock to go and find the one lost sheep, the good shepherd searches until he finds it. And through the profound story about the loving father who earnestly waits day and night for the prodigal until he returns back home. We too want to reach each soul for Christ. When each person becomes a follower of Jesus Christ, He bids us to be a disciple. Discipleship is an absolute privilege, which molds and shapes our identity and causes us to live a life like Christ. Just as Jesus showed His disciples their Sea of Galilee, where to reach and serve, we at Avenue Baptist Church will strive to make a difference in the places that God has positioned each of us to serve Him however and wherever is pleasing to Him. So as we come alongside each other may God reveal His activity so that we can humbly submit to accomplishing His will in our communities. We are also a praying church. One very important way to measure the health and the growth of a church is by how much a church prays. When God’s children pray, we believe He hears us and reveals His direction. So we wait on His words to guide and direct us. ABC Kids is our ministry for infants and children up to the 5th grade. We want to minister to our children’s spiritual needs, teaching them simple lessons from the Word to speak to their young minds and hearts. We pray that each child would come to a real saving knowledge of Jesus Christ, and raise them up to be the next generation of faithful Christians. BASECAMP is our ministry for students 6th to 12th grades. We believe in young people for Christ, and training them to navigate their teenage years with the Word. We also want to prepare them well in advance of when they attend college, going through various topics that they might encounter with their peers. We have a passion for the college campus to encounter Christ, and are blessed to be surrounded with many students who have come from all over the world to study. College is an exciting time, to discover who you are and ask the big questions about life. We encourage you to spend this pivotal time to find your identity in Christ and get grounded in the basics of Christianity. We want to help young people minister to their generation and set apart their lives for His glory. We believe God has a purpose for us in the workplace. For folks working in the Valley, especially those that have relocated to work here, the temptation to build our entire lives around our work is strong. God calls us to put Him at the center of our lives and our workplaces, and experience a true fruitfulness that only comes when we turn to Him, a full one hundred eighty degrees. Avenue Baptist Church is no stranger to the start-up culture, being a “start-up church” as well. :) We want to guide you to have a healthy work life that is rooted in the Word and faith which remains strong in the face of social pressures to be silent and let our values slip. As long as we are faithful God will use us at any point in our career whether you’re the new hire out of college or the seasoned professional. Our coworkers need to see faith at work in our lives through our excellence to given responsibilities, integrity on and off hours and willingness to have conversations about what we believe. 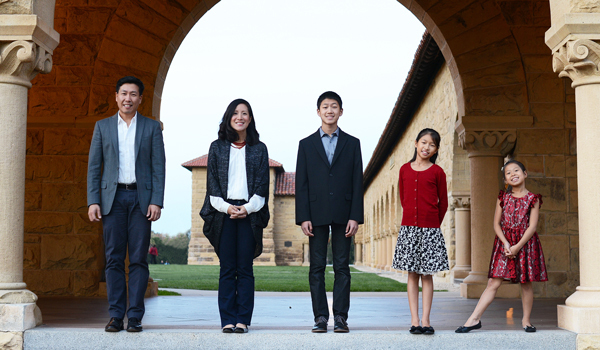 If you’re raising a family in the Bay Area we understand how financially and spiritually tough it can be. These days it’s hard to find time to slow down in this fast-paced culture and spend quality time raising our kids with love and biblical discipline they need to grow strong. We believe it’s the parent's’ role to model God’s heart for our children, and while it may seem daunting, we want to help you, parents first. Whether you’re raising your first child or in the battlezone with teens, these principles still hold the same, and encourage you to come. Also if you or your spouse are not yet believers, but are seeking, we are also here to provide some guidance and how to walk this journey, and want to support you. Heart + Sole is a running group that wants to go the extra mile with you. Most of us would not consider ourselves natural runners or people who ever imagined they would start running, but have found that training alongside others encourages a healthy fellowship and brings us into relationships with the community and even the world. Together we have ran and raised over $10,000 to bring clean water overseas and provide resources to mentor young children through Samaritan’s Purse. At Heart & Sole you won’t have to worry about having the fancy dri-fit or latest gadgets, or have already completed a marathon to start running with us. We meet you where you are and hopefully try and challenge you to go a little further. So let’s have some fun through the sweat, and get on the road together. Join us! For more info please contact run@avebaptistchuch.org. God has called us into the community, and we are praying that He continues to reveal the needs of Palo Alto and surrounding cities. We want to start with the most needy, We are in the process of being equipped to respond to natural disasters through Southern Baptist Disaster Relief ministry and look forward to future opportunities where God will use us. AVENUE BAPTIST CHURCH is a member of the largest Protestant denomination in the world, the Southern Baptist Convention. We partner with other Southern Baptists through the Cooperative Program to educate young pastors, provide relief during times of disaster, and send missionaries all over the world. As a Southern Baptist church, we affirm the Baptist Faith and Message 2000. For more information: www.sbc.net. AVENUE BAPTIST CHURCH © All rights reserved. If you have questions or comments, please e-mail the webmaster.